Over the past several years, one aspect of business operations has emerged as a serious threat to lumber and building material dealers: driving. It’s such a pervasive, day-to-day aspect of the business that many do not consider its substantial impact. The Commercial Automobile line of insurance coverage is a source of many claims and losses for lumber and building material dealers. This is driven by many shifting trends, from distracted driving and the rising cost of repairs to broader trends like greater population density. But this provides context more than an explanation; in fact, 94% of auto accidents are caused by driver error. To support safe driving and mitigate the severity of auto losses, more and more businesses are adopting various fleet technologies to help buck these trends. Though telematics have become popular, cameras are a valuable tool available and accessible to companies with vehicles fleets large and small. If we consider forward-facing cameras, driver-facing cameras and backup cameras, the familiar camera can serve a fairly complex dual purpose: accident avoidance and assisting with claims handling. Dashboard cameras that record the driver and the road have an important use in accident avoidance. Of course, people tend to act differently when they know they are being recorded. But the video can also be used in defensive driving training. Thorough defensive driving training involves a driver observation component to evaluate the behaviors telematics does not always capture, like checking mirrors, maintaining a route of escape, etc. However, smaller businesses often lack the time to assign a person to ride along with drivers. By reviewing the video recorded on driver cameras, managers can still observe drivers. Plus, when paired with telematics, cameras can provide additional information to explain recorded events like hard braking. In large box trucks and tractor trailers, backup cameras have been a boon for accident prevention. In large cities and other situations that make for difficult maneuvering, the visibility provided by a back-up camera can mean the difference between a smooth delivery and an expensive loss. 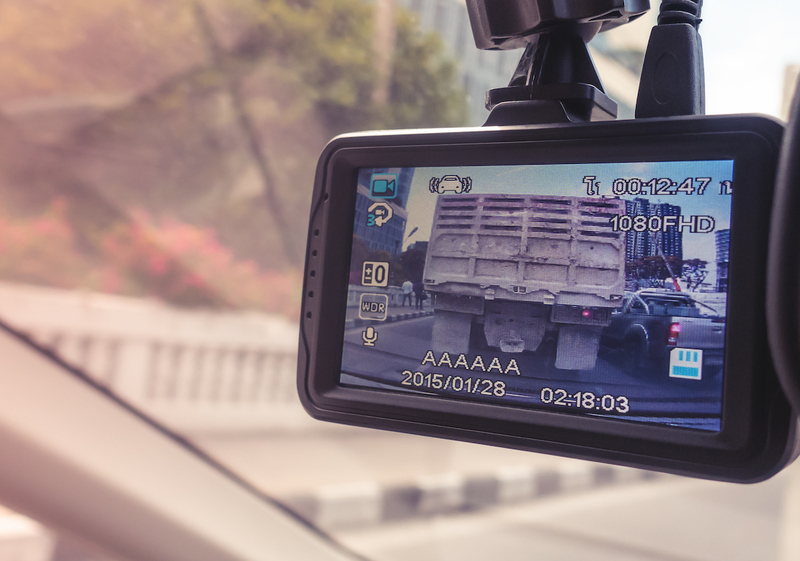 Some business owners worry that recording their drivers will simply prove too easily that the drivers are at fault during accidents. Sometimes, what the cameras capture will show that a driver is at fault—and that isn’t a bad thing. From an evidentiary standpoint, the video recorded by cameras are invaluable. If a driver was at fault, it allows the company to handle the accident in a more efficient manner. When such a claim is filed, time and money are not wasted in litigation and accident reconstruction. Rather, the company and the insurer can approach the claim knowing there will be a settlement, which saves money in the long run. In disputed accidents, video removes the he-said, she-said uncertainty. The video is an impartial, credible piece of evidence. It is easier to determine who is at fault and moves the claim along more quickly and efficiently. That means in-truck cameras are only as good as the video they record. Many models of cameras run constantly, overwriting previous recordings and only locking a recording when the vehicle telematics register an adverse event. Preserving this evidence—downloading and backing it up as soon as possible—is of the utmost importance after a driver is involved in an accident. Not only does it help during litigation, but companies can be punished for failing to preserve evidence. Driver safety and claims management are two components of a holistic approach to commercial auto risk management—which is critical in this environment of frequent, costly claims. 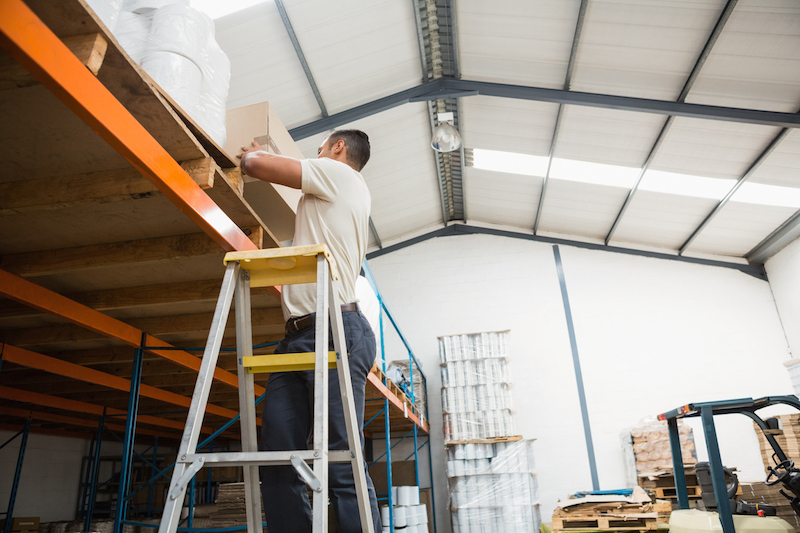 It is important to have the right insurance coverage in the mix to protect your business against any losses. At Pennsylvania Lumbermens Mutual, we know the risk exposures facing the lumber and building materials industry—visit plmins.com to learn more about the coverage we offer to address your needs.